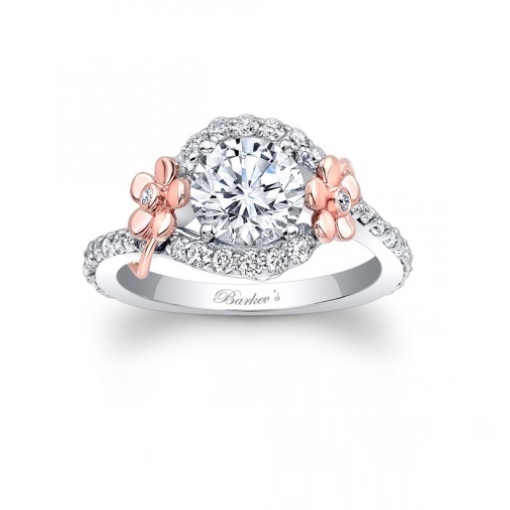 These floral inspired engagement rings are perfect for any bride who dreams of fairytale endings, whimsical details, feminine touches and picture-perfect designs. If you fall in love with vintage style rings and floral designs, or your lady love has a thing about botanical element or nature, these rings are sure to be a perfect choice. In this visual guide, we take a look at the floral engagement rings trend to see how you can bring in floral details for your ring. The pave encrusted vine design of this ring makes the band as much a part of the final result as the centre stone. A square cut diamond works well with this design, but you could try a round cut diamond or even a heart shaped diamond for a touch of extra romance. This ring works well in any metal with any colour of diamond or type of gem. For those wanting something eye-catching, this design features ornate side flowers in contrasting metal. The variations here are almost endless. Rose gold, platinum and diamond; yellow and white gold with a coloured diamond; yellow and rose gold with a classic white diamond and yellow diamond pave band... use your imagination and try mixing and matching metals and stones to create a truly one of a kind ring that is sure to be something special. This gentle twisting split shank flower has a pretty flower design in the centre, with a finely weaving cross band of solid gold and pave. Despite the level of detail, the ring is not over the top or overly bold. Instead, the look is soft, girly and oh so pretty. This design would also work well in rose gold or platinum, with coloured diamonds or precious stones such as sapphire, ruby or emerald. Another way to add detail without going overboard is to try an eternity band. 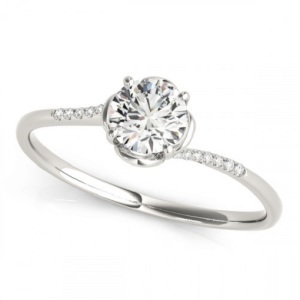 This style of ring can be a great way to save, as the stones are much smaller. A vine detail adds plenty of romance, allowing for optimal sparkle. You could try this ring in a warm or cool toned metal, and your choice of stones to add more impact. 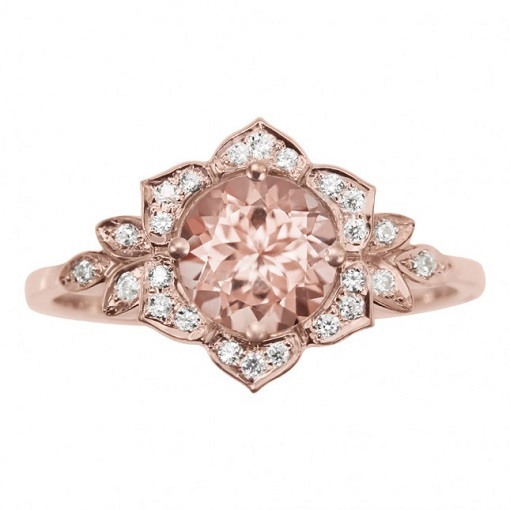 For the ultra romantics, this heavenly rose gold morganite lily is truly magnificent. The ornate detail of the centre flower and stone is balanced by the warm blush tones of the rose gold and morganite, with cool touches of white diamond for emphasis. The result is a ring that is breathtakingly beautiful. 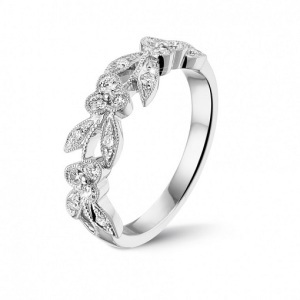 Those who prefer their rings on the minimal side will adore this delicate platinum flower ring. A fine band twists gently up to a small diamond that is set in a flower-like prong. The result is subtle and beautiful, without being fussy or over the top. This style would work equally well in rose gold or yellow gold. The Cape Diamonds Fynbos Ring Collection offers intricately designed floral inspired rings that are proudly South Africa. 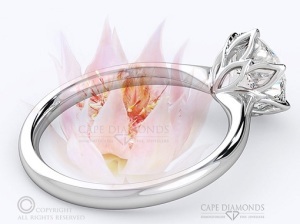 The Blushing Bride Fynbos Ring has a beautiful setting that mimics the look of a protea to perfection. 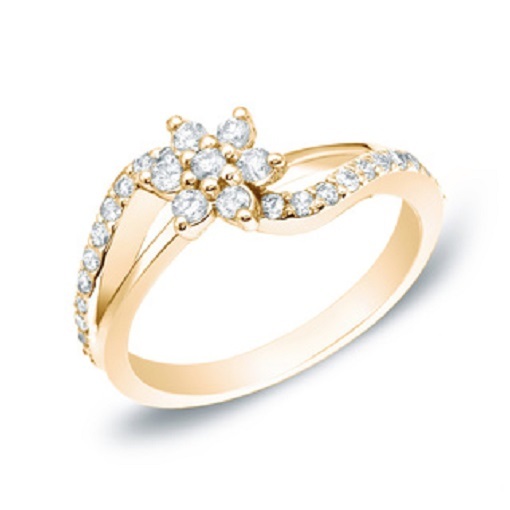 It is available in a choice of metals, including platinum, yellow gold, rose gold and white gold. The band can be left plain or you could add tiny pave stones for extra sparkle. Looking for the perfect romantic ring for your engagement? Cape Diamonds is here to make your dreams come true. 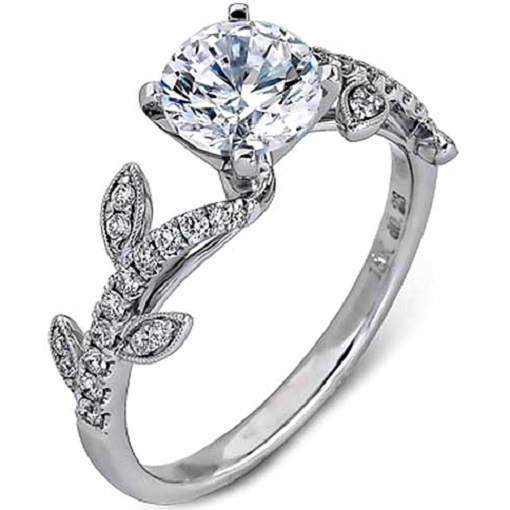 Contact us today and let us help you design the perfect floral inspired engagement ring in Cape Town.